Boogerman: A Pick and Flick Adventure (Sega Genesis, 1994) AUTHENTIC. TESTED. 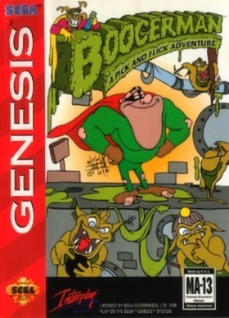 Boogerman: A Pick and Flick Adventure (Sega Genesis) Polished Pins, Plays Great! Boogerman: A Pick and Flick Adventure (Sega Genesis, 1994) Tested & Working!